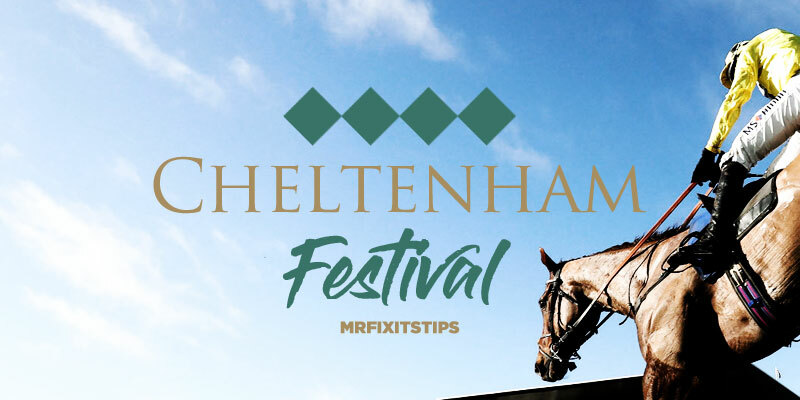 WITH UK racing in lockdown for the next five days at least, it is worthwhile taking this opportunity to pinpoint some Cheltenham festival ante-post bets. I’ll concentrate on those events currently covered by the Non-Runner No Bet concession and first up is my nap of the meeting PAISLEY PARK in the Stayers’ Hurdle. The Cleeve Hurdle at Cheltenham is a hugely influential trial, with its roll of honour in the past decade including the likes of Big Buck’s, Inglis Drever, Thistlecrack and Unowhatimeanharry, and Paisley Park simply annihilated his rivals. What was so admirable about that performance was the way he battled through a flat spot running down the hill before rallying to brilliant effect. ‘Soft’ horses don’t win the Stayers and Paisley Park has courage in abundance – rather like his owner Archie Gemmell. Archie has been blind since birth but derives enormous pleasure from horse-racing in general, and Paisley Park in particular. He ‘got the bug’ listening to radio commentaries as a kid and named Paisley Park after the recording studios of pop genius Prince, his musical hero through adolescence. Emma Lavelle has the task of keeping Paisley Park ticking over until March 14 and there is no downside to taking current odds of 9-4 (Ladbrokes, Coral) as he may go off even shorter on the day. Last year’s winner Penhill had two lengths in hand of Supasundae, with Wholestone three lengths further away in third, but hasn’t been spotted since taking a 13 lengths whipping from stablemate Faugheen at the Punchestown festival last April. At the same odds with Betfair and BetVictor, APPLE’S JADE gets the vote in a fascinating Champion Hurdle. In my book there are only three runners – defending champ Buveur D’air, Laurina and Apple’s. Buveur D’Air was more impressive in beating My Tent Or Yours in 2017 than last year when mastering Melon by a neck. Admittedly impressive when beating Samcro in the Fighting Fifth at Newcastle, Buveur D’Air was surprisingly upended by stablemate Verdana Blue at Kempton before seeing off Vision Des Flos at Sandown in workmanlike style. At the other end of the spectrum, Apple’s Jade was visually much more convincing with her emphatic Irish Champion Hurdle victory at Leopardstown. Taken straight to the front, she was slick over her obstacles and had no trouble putting clear daylight between herself and the pursuing pack led by Supasundae. Laurina has bossed some inferior mares but remains unexposed at this level. She is a grand, imposing horse and makes plenty of each-way appeal at around 5-1 if you’re not in the camp of either of the big two. Harking back to last weekend’s Leopardstown action, one horse could hardly have been more impressive than MIN and he should be backed at 4-1 for the Ryanair Chase. We don’t know if connections are lining up another tilt at Altior in the Champion Chase, but the Ryanair is his only other possible objective. Min is almost certainly at his very best at a distance short of 2m 5f but he has won over 2m 4f at Punchestown, beating Shattered Love, and was only just denied by Politologue in the 2m 4f Melling Chase at Aintree last season. Willie Mullins won this race back-to-back with Vautour/Un de Sceaux, and, despite slight stamina reservations, brilliant jumper Min can outclass his rivals. Should Min take the Altior route instead, that will open the door to MONALEE. In contrast to Min, the Ryanair trip of 2m 5f is absolutely perfect for strong-traveller Monalee and his trainer, Henry de Bromhead, won last year’s race with Balko des Flos. Odds of 8-1 are available and that’s a big each-way price, especially as the race often cuts up (six runners last year). So, that’s the short-priced tips taken care of, so I’ll turn my attention to some festival fancies at tastier odds over the next couple of days.